The following professionals are ones with whom Tax Credit Connection, LLC is familiar and this list is provided as a courtesy to landowners and taxpayers. This listing does not constitute an endorsement of their services. There are many other professionals in the State of Colorado who are also qualified to work with conservation easement income tax credits. Please make your own decision after consulting each professional. Download this complete list as a PDF. Bauerle and Company is a professional team of financial, tax and business consultants who have been providing service to the real estate and construction industries for over 30 years. David Brewster and Associates, Inc.
David Brewster and Associates, Inc. specializes in returns utilizing conservation easement tax credits. John Graham has worked with many donors of conservation easements since 2000, the first year that the conservation easement income tax credit was created. He also has prepared tax returns utilizing the purchase of tax credits to help his clients save money on their state tax returns. In addition, John has placed a conservation easement on property he owns. Brad and Pat provide professional accounting services in Durango, Colorado specializing in tax and financial planning matters, including conservation matters. Wall, Smith, Bateman and Associates, Inc.
Lyle provides professional accounting services. Since 2001, he has done compliance consultation on many Colorado conservation easement transactions which has allowed him to acquire extensive expertise in this specific field. 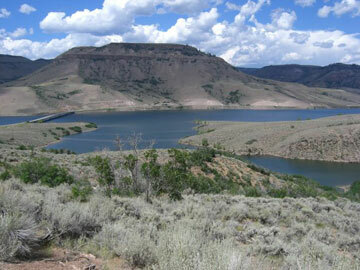 THPK, PC has served the financial needs of the Yampa Valley for over 40 years. They are committed to providing the best service to their clients by developing strong personal relationships. They provide continuing education for their staff and update their computer technology on a regular basis. West Foster has performed conservation easement appraisals since the 1980’s and specializes in properties along the Northern Front Range. McCarty Land and Water Valuation, Inc. does appraisal work throughout Eastern Colorado, the Front Range, the North Central Mountains, and Southeast Wyoming. Kevin McCarty has over 28 years of appraisal experience including over 15 years of doing conservation easement appraisal work. He has worked for numerous land trusts and landowners. He has also done a considerable amount of conservation easement work for the Internal Revenue Service and the Colorado Attorney General. Eric McCarty, a certified general appraiser, and Shiloh Wittler, appraiser trainee, have over ten years of combined experience. Felicia Jordan, a trained journalist, has been the company’s editor for over seven years. Mike is a real estate appraiser and consultant with 35 years of experience specializing in conservation easements. John has been an appraiser in Colorado since 1985. Since October 1994, he has been the President and owner of Norton Appraisal Services, Inc. located in Durango, Colorado. He has expertise in the appraisal of unimproved land for a variety of reasons including conservation easements, open space acquisition, and partial acquisition for public/private rights-of-way. Peter Sartucci has specialized in conservation easement appraisals since 1997 and has 26 years experience as a real estate appraiser. Peter generally specializes in properties located along the Front Range from Trinidad to Fort Collins and 100 miles east and west of I-25. Shannon & Associates specializes in a wide variety of commercial real estate appraisal services in Northern Colorado and Southern Wyoming. Since our founding in 1971, we have provided prompt, confidential and professional appraisal services to property owners, investors, developers, lenders and other professionals, such as attorneys, accountants, municipalities and medical professionals. Kevin is a Colorado Certified General Appraiser with the SR/WA professional designation (Senior Member) from the International Right of Way Association. His appraisal experience includes condemnation, conservation, public acquisition, estate valuations, federal land trades and forensic appraisal review including expert witness testimony. He also has extensive appraisal and document review experience including title work, mineral assessments, conservation easements and contracting for transfer of Colorado State conservation easement tax credits. Mark Weston has been active in appraising conservation easements since the late 1980s, mostly in Colorado. He is a past board member of the Colorado Coalition of Land Trusts, the Colorado Conservation Easement Oversight Commission, and speaks frequently on issues relating to appraisals and partial interest valuation. Melinda Beck practices in the areas of conservation, land use, real estate transactions and real property transfers. Will concentrates his conservation easement practice on representation of farm and ranch owners to provide some balance in their negotiations with the land trusts and the land trusts’ attorneys. Jeremy’s practice focuses upon tax, estate and succession planning for closely held family farms, ranches and businesses and related real estate matters, including tax and real estate aspects of conservation easements. Mike is a tax attorney who has worked with buyers of conservation easement tax credits providing tax credit review prior to the purchase of tax credits. He also represents taxpayers in audits with the IRS and the state of Colorado. Representing land owners for over 30 years in complex conservation transactions including donated and purchased easements, bargain sales, and transactions funded by local, state and federal grants. Jane has broad experience in assisting landowners in the negotiation, drafting and review of conservation easements, and also maintains a general real estate and business practice with an emphasis on residential and commercial real estate transactions and documentation, land use, development, owners associations and business entity formation and guidance. Larry has extensive experience in representing taxpayers in disputes before the Internal Revenue Service and within the United States court system with Tax Court cases and actions before the Federal District Court. Holsinger Law, LLC specializes in lands, wildlife and water law. Kent Holsinger comes from a ranching family in North Park and represents landowners on conservation easements. Conservation Law, P.C. is a land conservation law firm devoted to protecting working landscapes and environmentally significant lands in Colorado and the Rocky Mountain West through the use of perpetual conservation easements. Jessica Jay, the founder and principal attorney of Conservation Law, P.C., represents landowners and easement holders to conserve land using durable, enforceable, and flexible perpetual conservation easements drafted to anticipate changes over time. Ms. Jay is dedicated to ensuring the permanence of such land conservation through sound conservation transactions and the defense and enforcement of perpetual conservation easements. The first consultation is free; please feel free to contact Jessica by phone at 303-674-3709, or by email. Gregg specializes in legal issues related to estate planning, farm and ranch operation and conservation easements. Gregg works with landowners throughout the state of Colorado. Daniel P. Kapsak, JD, M. Div. The Kapsak Law Firm represents and counsels clients in various real estate matters including sale and purchase, land sub-division and development, and zoning. The firm is also devoted to all aspects of estate planning including wealth preservation, asset protection, estate tax mitigation, disability and health care planning and GLBT-related planning. Our attorneys are licensed to practice in Colorado. Peter specializes in water and conservation law, including innovative and complex water issues in conservation easements. He is the author of Water Rights Handbook for Colorado Conservation Professionals, and on the Board of the Colorado Water Trust. Bill has been providing legal advice to land owners, land trust and governments for conservation easements and other conservation transactions since 1981. He serves as counsel to the Colorado Coalition of Land Trusts and has been involved in drafting all of Colorado’s conservation easement laws during the last thirty years. Susan facilitates the conservation easement donation process with landowners and conservation professionals and focuses her work on the western slope of Colorado. Terri Hickman, founder of Grand River Financial Partners, is dedicated to putting her clients’ well-being first with individualized Financial Plans and quality investment products. Terri is also able to assist her clients with their Estate Planning. Proper and effective Estate Planning is an essential element to helping preserve a legacy. Lee is a wealth manager serving as a principal and investment advisor. Adam is a CERTIFIED FINANCIAL PLANNER™ professional. As a trusted fiduciary and fee-only financial advisor at Elderado Financial, he works passionately to help families and landowners preserve their wealth, pay less in taxes and give more to the people and organizations they care about.